Merlimau Ramadan food bazaar is my favorite place to visit during Muslim fasting month. Various Malay delicacies are sold at the food bazaar. You can enjoy until you lick your fingers. 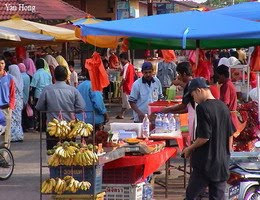 During Ramadan, many Malay cooked food hawkers gather at food bazaar to offer a variety of delicious food. This year, the location of Merlimau Ramadan food bazaar is in front of the Merlimau bus terminal. 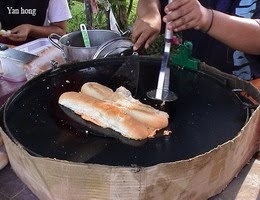 Previously, the other location of Merlimau Ramadan food bazaar is opposite the Merlimau Polytechnic.